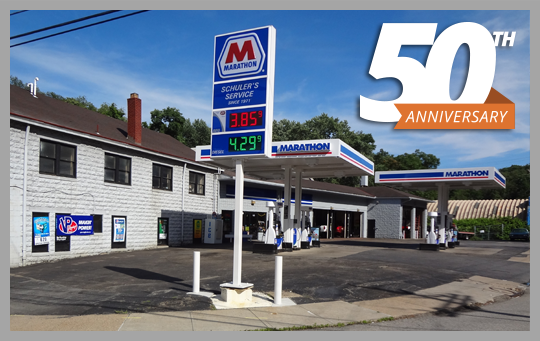 In business since 1971, Schuler's Service Center provides complete auto service, Marathon gas station, and convenience store. We provide several, highly-experienced mechanics, who can service your vehicle in one of our five service bays. We are located at 293 Corliss Street, across from Comcast’s main office.